And suffer the consequences that follow. State of Decay 2 wants you to decide who lives or dies -- and deal with whatever happens next. The sequel aims to double down on what made the 2013 original work: a more sophisticated game world, and both more elaborate skill trees and settlements, whether that's medical facilities or just better zombie-deflecting defenses. The invasion may be delayed, but you'll be in charge of your own survival when it finally hits in 2018. I got to see the game in action here at Gamescom, and if you've ever wanted an alternative to The Walking Dead where anyone and (nearly) everyone could die, this is for you. 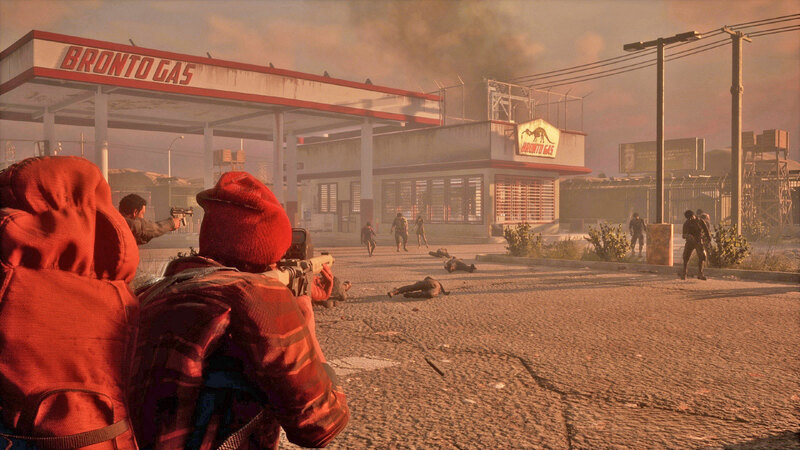 State Of Decay launched back in 2013 on Xbox 360, part of the console's Xbox Live Arcade exclusive lineup that eventually got a PC and Xbox One remaster. Despite that remake, it still had plenty of rough edges, and glitchy environments were de rigueur as you battled zombies, fortified your home and explored the game's measured-in-kilometers-squared world. However, it's sequel time, and developer Undead Labs has the full backing of Xbox Studios to ensure its new world of zombies is a little less messy -- and I mean that in a technical sense. There are still plenty of zombies to run over, smash with a baseball bat and the rest. The original was lauded for the freedom it offered players, but it was just really, really glitchy. 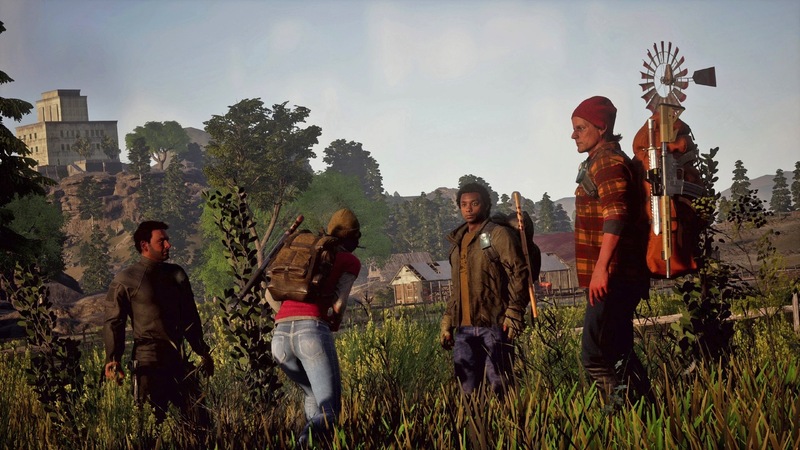 But the game is now on a new console as a sequel, and the 30-minute (admittedly hands-off) playthrough had none of the environmental graphics hiccups that State of Decay was notorious for. Leaving technical upgrades aside, creator (and previously World of Warcraft lead programmer) Jeff Strain stressed how the game doubles down on what made the first game so popular. Instead of focusing on one "hero," you can control anyone in your motley survivor crew. Each future zombie meal has its own strengths and weaknesses, ones that not only include medical skills or shooting proficiency, but the person's effect on camp morale. Naturally, those individual talents will also affect how you play the game. Morale is important when you want to keep every man and woman at your base, strengthen it, fix it or just ensure there's enough food to eat. The team stresses that SOD2 will better signpost what's happening to your settlement, and what's happening to your characters -- important when you'll have to balance home problems while inching forward with the story. Apparently the narrative will lightly blend together with your day-to-day settlement woes, so you might actually make it through the entire game despite distractions -- I'm looking at you Fallout 4. What pulls me in most is how players bond with their survivors, and when it comes to hard decision time, what choices will you make? We recruit two new members during our playtime, but those new members come at a cost: Our only medic is coming down with the zombie plague, and we didn't have time to save him. Medic skills are rare; we made the wrong decision. The following decision isn't made for us, though. We approached the guy and were given two options: End his life, or send him out into the open to fend for himself / try to find a cure. We did the latter, and the gamemakers said that there is the (small) chance that these people will recover and return back to the fold -- which sounds both supremely tempting and like a mid-season TV plot-twist. I also got a glimpse at how cooperative play will work inside the game, with a flare gun used to summon your Xbox buddy (or random stranger) to your side. Like in the standard game, if you die while helping your friend and that person stays dead, you'll also get to keep any supplies and materials you find. High stakes, but possibly worth it too. It's been played out and debated in excess, but zombie movies, books, TV shows and games are at their best when they focus more on the humans, less the undead threat. That is the interesting part. State of Decay 2 hints at a game system that could make the definitive zombie game for me -- and there's still plenty of time until spring 2018.